Claire McCaskill has breast cancer, expects "full recovery." 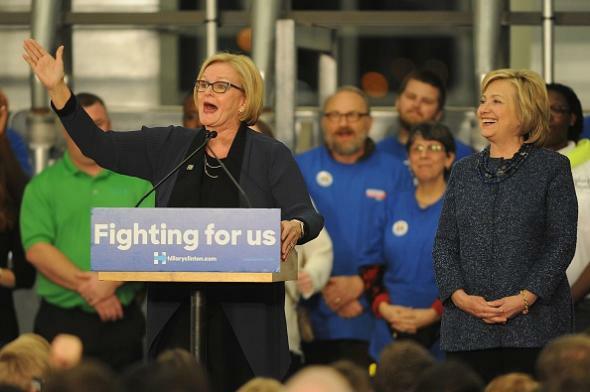 Claire McCaskill introduces Hillary Clinton at a campaign event in St. Louis on Dec. 11, 2015. McCaskill, a Democrat, has served in the Senate since 2007. A popular figure who was re-elected by a 15-point margin in 2012 even as Mitt Romney won Missouri’s electoral votes, she’s become known on the national stage for her entertaining candor and her advocacy on behalf of sexual assault victims on college campuses and in the military.